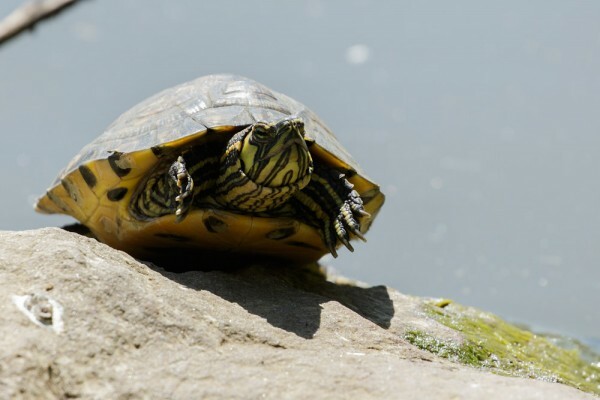 I’ve been busy with other parts of life recently, hence the intermittent blogging. 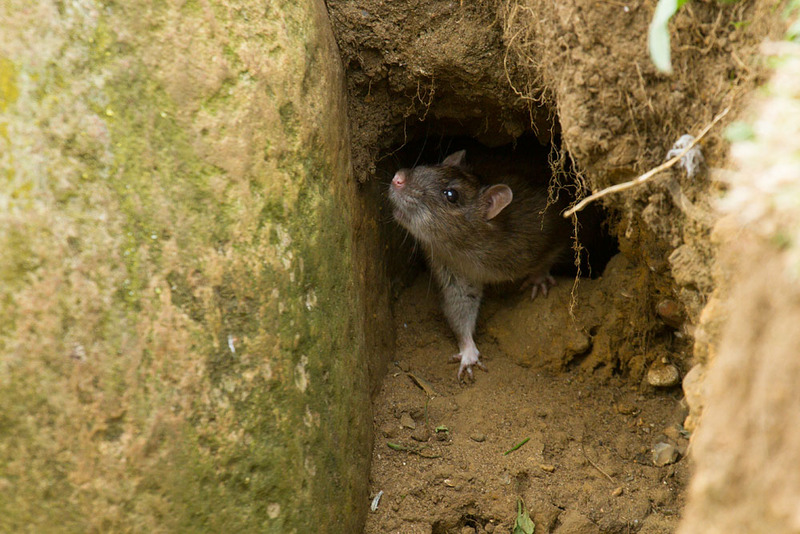 There are a few things to report though, about hte local wildlife, starting with a rescue of a baby vole. It happened at work where there is some building/digging going on. 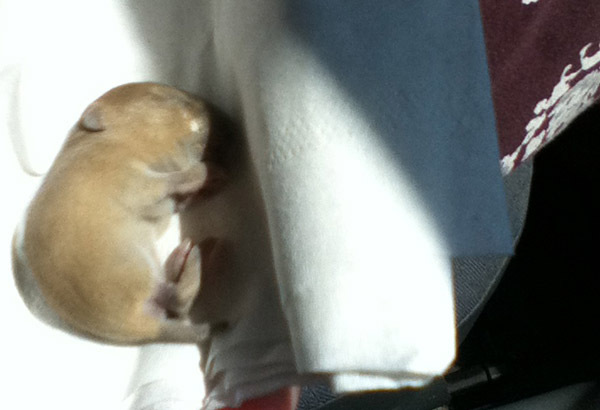 One of the site workers discovered a baby vole. It’s likely the nest had been disturbed by heavy digging, but he rescued one and passed it to a colleague of mine who found me in the main building, and from there it was a quick visit to my local animal rescue centre. 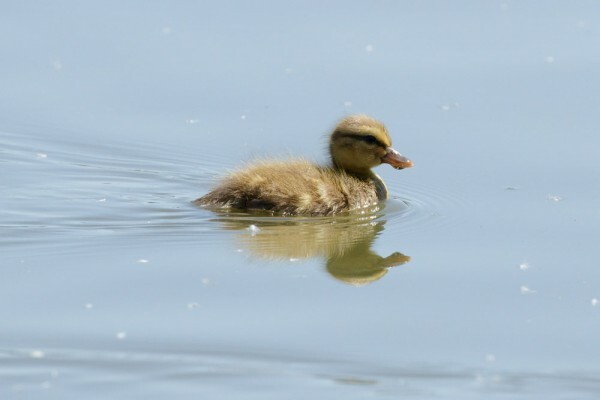 Nothing very dramatic there, but it was a very tiny, very cute little thing. Sorry that the photo (taken on an iPod Touch) is so poor. 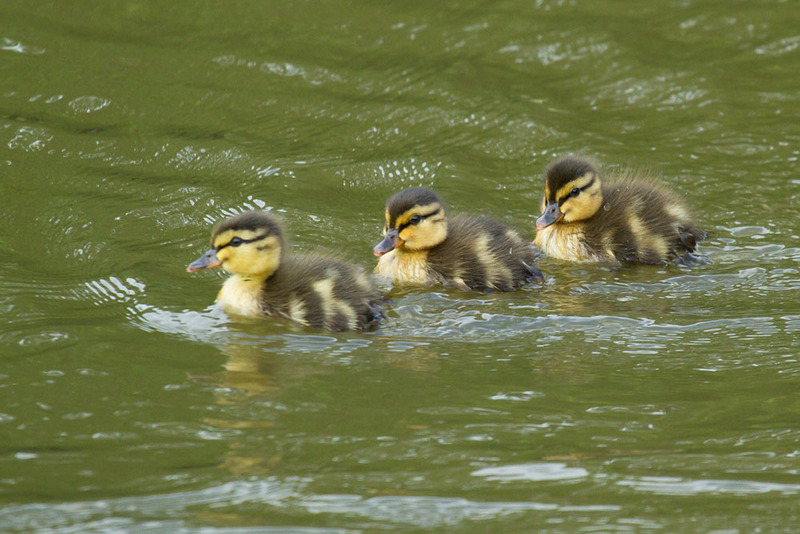 Other new babies on the block include these ducklings at Falmer pond. There seem to be two broods, and hopefully they will survive and avoid the predators, one of which – unfortunately – is still lurking in the shallows. 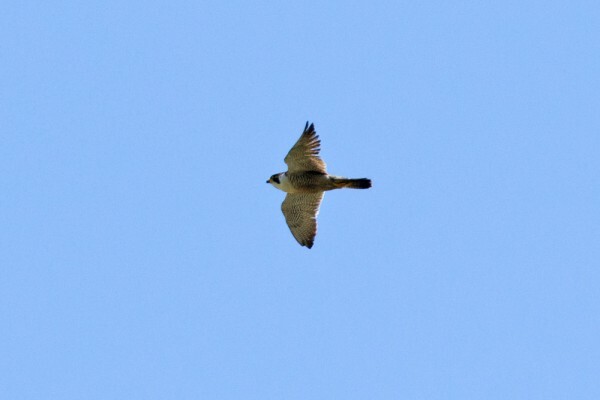 Predators are also a risk from above, and I was pleased to see a fine peregrine falcon fly over Falmer. Meanwhile the badgers and foxes are still making good use of the garden. I’ve not seen any tonight, but will try again in a few minutes. Camera note: all photos taken with the Canon 7D Mark II and EF 100-400mm f/4.5-5.6L IS II USM lens (baby vole taken on an iPod Touch). I may be a bit erratic posting over the next two or three weeks (World Cup and all that eating into the evenings), but in the main I should still be making the most of the decent weather to get out and about with the camera. 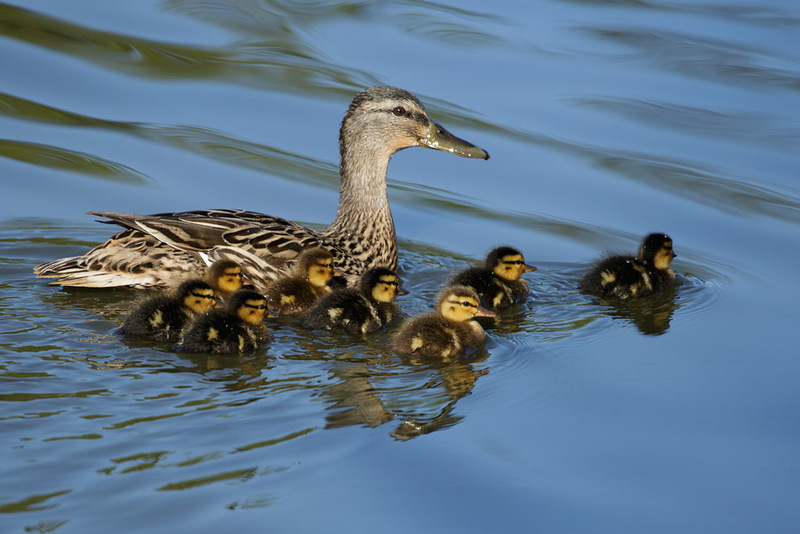 This post combines the best of yesterday and today, and has lots of babies in it. 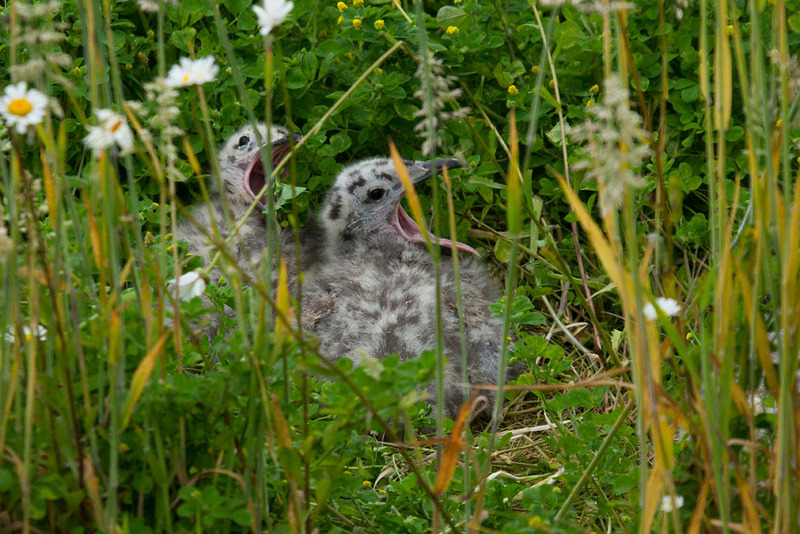 First up are the herring gull chicks from yesterday morning. This clutch is on one of the green roofs at work. It’s overlooked by a large balcony area so the adults are very used to people being around (but very secure as well). 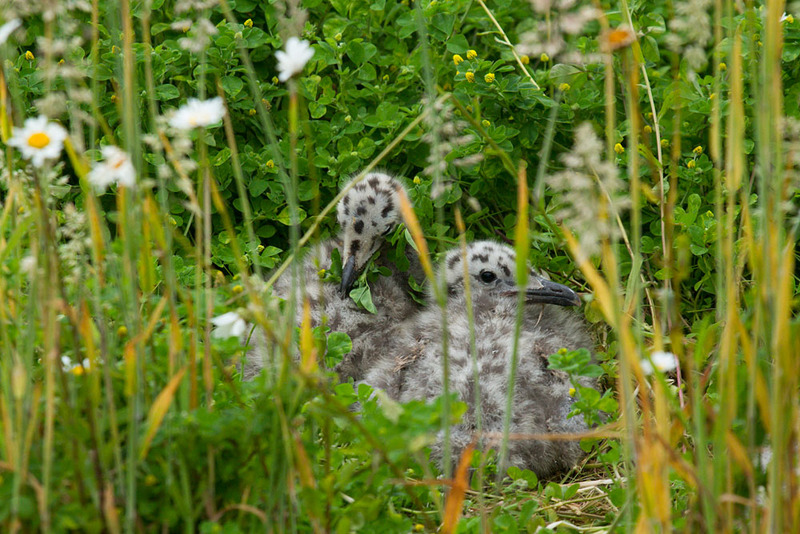 The young gulls seem to enjoy hiding in the vegetation. There are lots of young rabbits out in the fields. 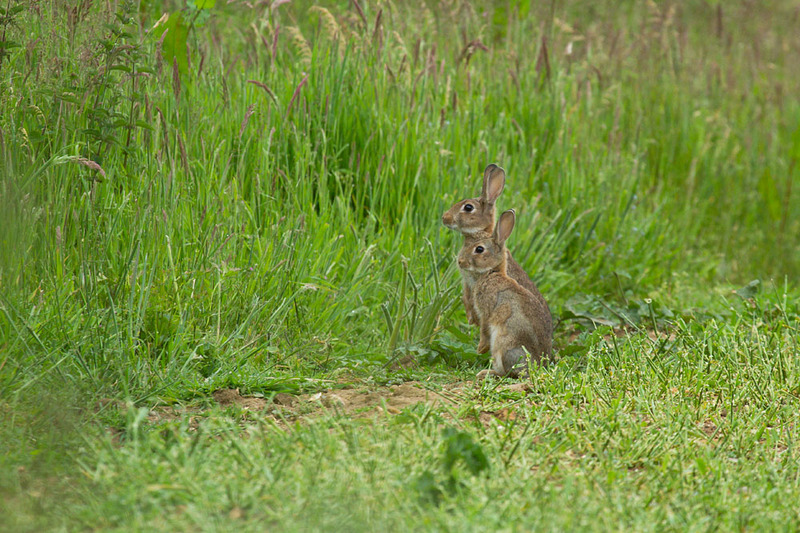 This pair is also from yesterday. I liked the pose. 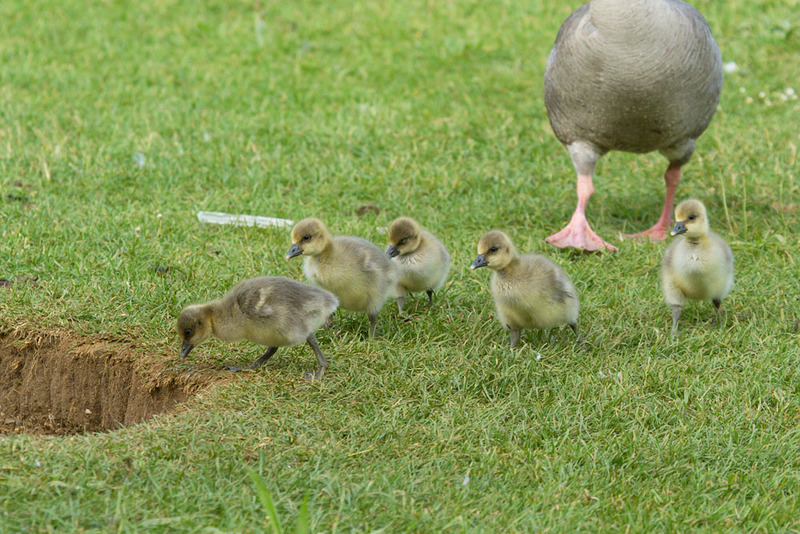 Keeping on theme, these are the latest clutch of goslings back at Falmer Pond. Plus (the latest arrivals) three pretty little ducklings. Moving away from the cuteness theme, I’m going to complete the recent sightings. 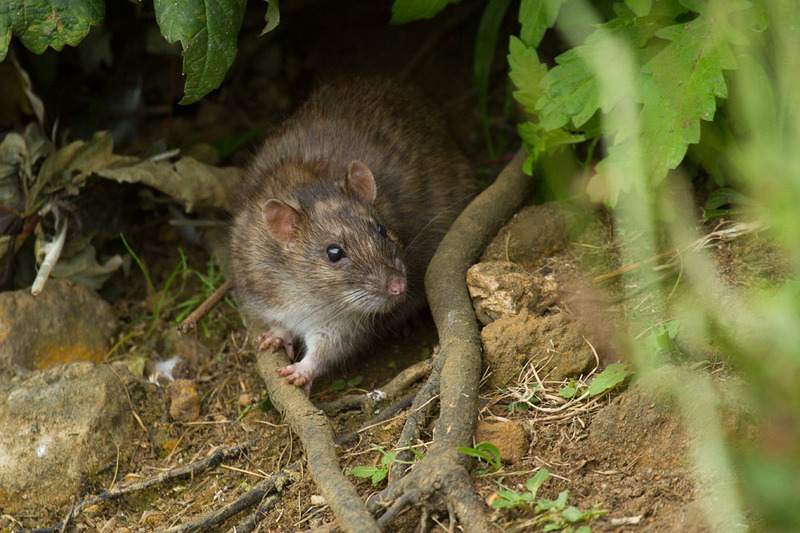 The rats are always about, but I love photographing them so you are going to have to humour me if you don’t share my enthusiasm for these incredibly adaptive creatures. Plus I do think they are quite cute. I can’t really pretend buzzards are cute, because they so clearly aren’t. 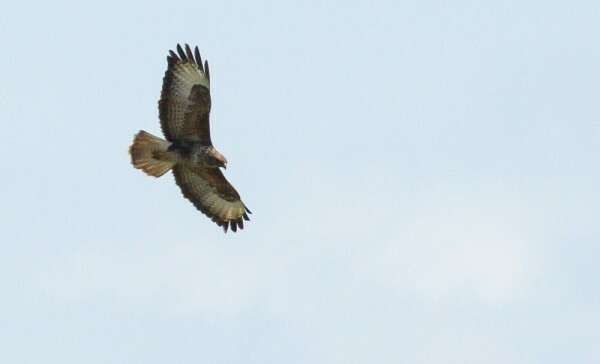 But they are splendid in their own way and I saw a couple flying out over the fields at lunchtime. 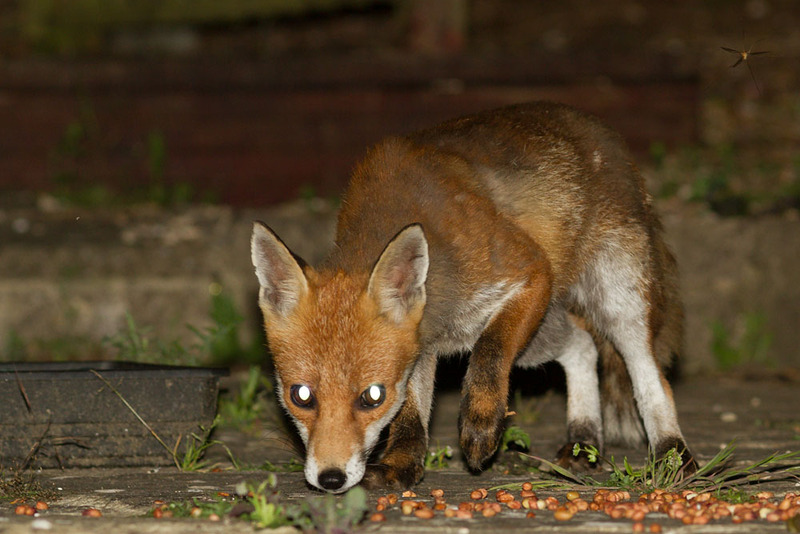 The final photo for today is the vixen in the garden, from Sunday. Camera note: all photos taken with the Canon 7D and EF 100-400mm f/4.5-5.6L USM IS lens, apart from the vixen which was taken with the EF 200mm f/2.8L II USM lens.